Jesus or Squirrel? 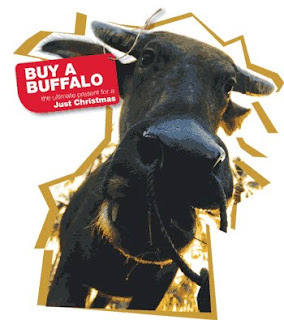 : Send a Buffalo to India for Christmas! Wait. What? We actually had a family member send money to an organization that informed us that our Christmas gift was goats which were going to Africa. While this is a little more credible than milking buffaloes in India, it did not honestly seem like a Christmas gift to me. If someone wants to do that, then they should do that. Please do not call it my gift. Just tell me the truth: you decided not to get me a gift this year. P.S. Let me know before I go shopping. The buffalos' mil is especially thick and creamy and will be a valuable source of income for India's Dalit people. These 'outcastes' are regularly denied access to all but the lowest and most menial jobs. 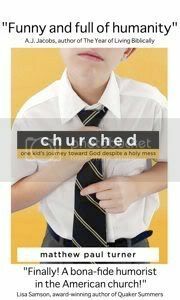 The origins of Christmas are of God sending his only son to to Earth - giving without receiving anything in return. Thus, these kind of gift ideas follow that example to help those who have the least.